It's no secret that Jason Wu for Target was all the buzz in recent fashion news. He, like many couture designers, are making a second mark in the fabrics of fashion with their options for the fashionable girl next door. These affordable options are slated to have the same finesse and flair the original designs. The Jason Wu for Target line photographs exceptionally well. As with his original designs, the lines are simple and the details are feminine. Without a doubt, this option was quite anticipated. The Jason Wu for Target line looks like an "affordable option". The quality is vastly different than his original line. The clothing shows well however I would handle with extreme care. The dresses are cute yet short, colorful, feminine, and fashionable. I would gather that the target audience is the 20 something professional; a recent college graduate, or the thrify fashionista who mixes trends with classic pieces. 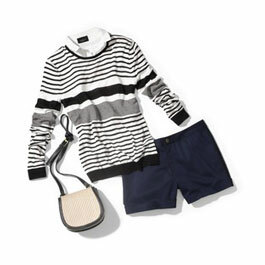 Has the Jason Wu for Target line captured your fashionable heart? I have heard about it but I know it probably does not come in my size. Target does have better clothes so I am sure this will be something that people will love. i don't buy clothes at target or other larger brand department stores only because their size are all sorts of cray-cray sometimes. plus, the quality varies. i like the first ensemble that you put together (yellow, black) though. I haven't checked it out yet... I only heard about the line but I'm willing to try it if there's actually something in STORE! Hopefully, it didn't disappear like that Missoni Madness!!!! I've seen a few things online, but I haven't checked it out at my local store yet. I might go by there this weekend and see what they actually have in stock (and in my size). I love that yellow and black fit! Very cute. I was actually just in Target and they do offer some cute items. I haven't bought anything because I usually buy clothes elsewhere, but I am considering making a purchase based on the reviews for various bloggers. I bought a couple cute piecees that were constructed very well. I'm excited to wear his clothes. I liked his line better than Missoni. After my Missoni for Target experience I'm convinced from now on all of the "designer name for Target" lines will be extra hyped up and understocked for no reason. At the end of the day it's still Target (no offense) because I shop there too but I think we've been fooled by these lower price point designer lines for Target. There is one dress I wanted...I need to check them out! Thanks for the review! I like the clothes that you showed, however, I would feel weird buying them at Target. I would have to see them and try them on too like the others have said. On the fence with this one. I love Target. I shop there often for clothes. I'm interested in checking out this new line of clothing. Thanks for the heads up!